For caulking around sinks, tubs and showers and where tile meets tile or another surface. Also adheres bath fixtures and loose tile. Do not use to install grab bars. Maximum joint width and depth should not exceed 1/4" (6 mm). Do not use in areas with constant water exposure. For interior use only. #540 Truffle 10 lb. 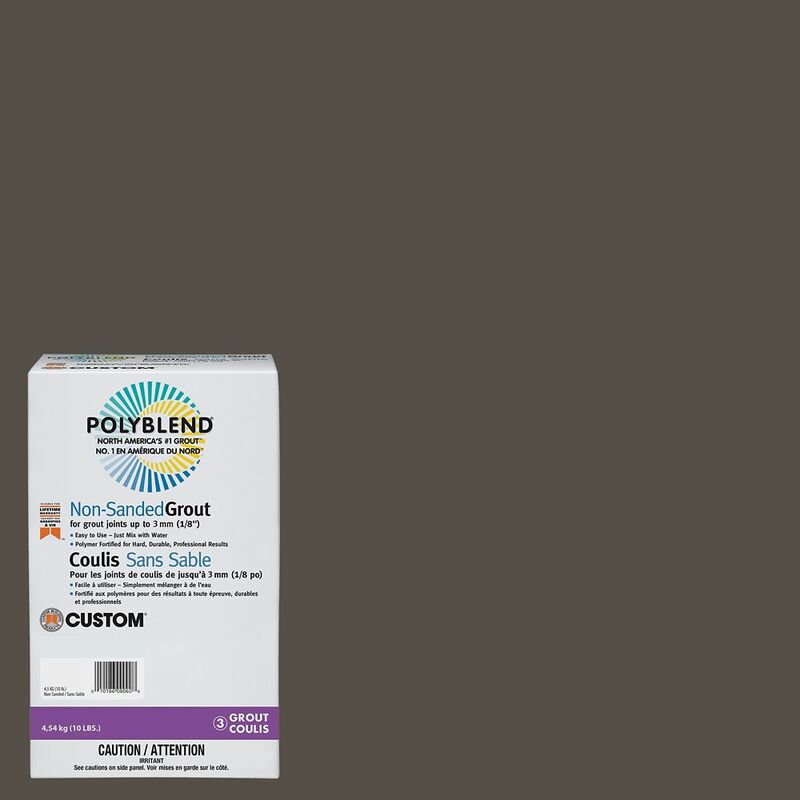 Non-Sanded Grout The Polyblend Non-Sanded Grout is polymer-modified to produce hard, dense joints that are resistant to shrinking, cracking and wear. It is formulated with proprietary technology to ensure durability, colour consistency and quick setting.